Virtual private networks, or VPNs, have become an attractive option for the cautious yet casual internet user in light of the increase in commercial tracking, social media data mining, and unfettered state surveillance. 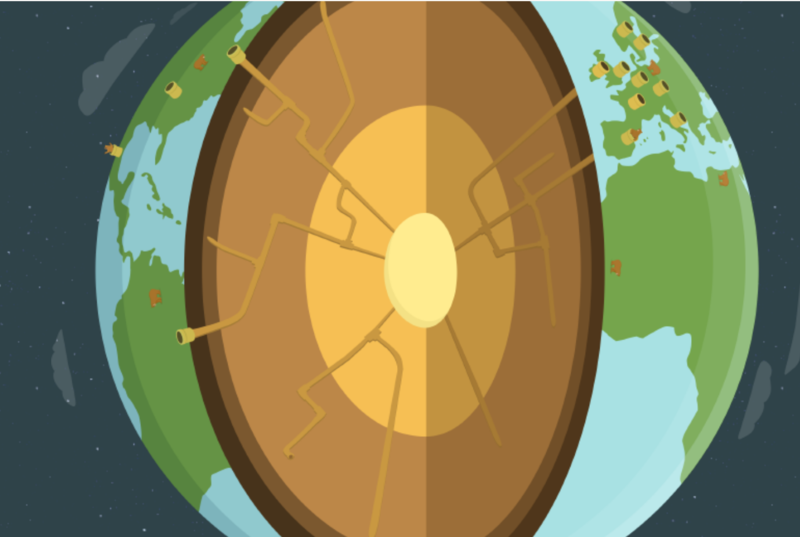 VPNs allow users to encrypt data sent and received across public networks, thus acting as if connected to a private network and granting differential levels of access, privacy, or security. An overview of user-friendly VPNs at the start of 2017 evidences a spread of technical sophistication and affordability, revealing the growing demand for these services. Within these platforms for traffic encryption are a number of VPNs marketed not only as user-friendly, but also as cute. Their avatars — often an animated animal or plant — both signal the service’s relatability to the everyday user and imply its innocuous nature. There is, for instance, Mullvad’s gopher wearing a construction hat, SlickVPN’s chameleon grinning deviously, and CactusVPN’s eponymous mascot playing dressup. Here I briefly consider the case of TunnelBear, a Toronto-based VPN service that promises a “secure and private connection to a less restricted Internet.” In many ways, TunnelBear is representative of the mobilization of cuteness to market user-friendly VPNs. At the same time, it is different from other services with cute mascots in that it incorporates the tunnel as part of the cute figure that symbolizes the VPN’s function. 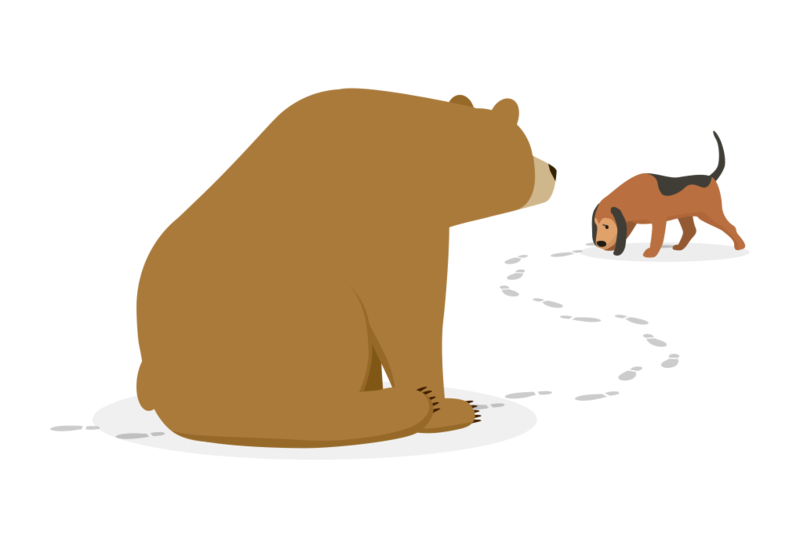 By making anodyne the metaphor of alternative (or perhaps unauthorized) connectivity provided by a VPN, TunnelBear illustrates the ideological negotiations in which these user-friendly services must engage. Deploying cuteness to market a product has a clear profitable intent. Advertisers and designers have long mobilized the appeal of cuteness to sell all sorts of products. Medical studies conclude that coding messages as cute facilitates their reception and fosters compliance. The decades-old popularity of kawaii and its international travels prove that cuteness, broadly conceived, is neither new nor unique to the North American market for VPNs. 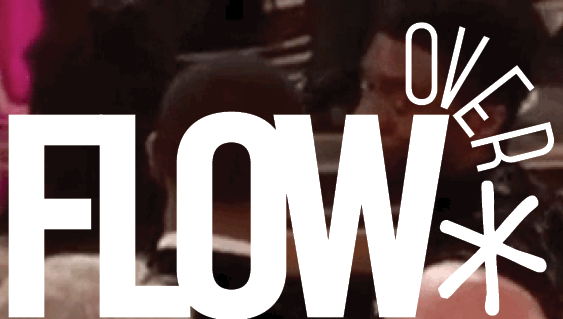 Still, cuteness has had a new lease on life with the rise of meme culture on the internet. Cat videos proliferate online because their cuteness facilitates instant affective investment and extralinguistic connections across users. Whether we speak of the digitization of cute culture or the cuteness of digital culture, the growth of consumer-oriented online networks is increasingly intertwined with the spread of cute content. Among the gophers, chameleons, and cacti of the user-friendly VPN market, the mobilization of cuteness in TunnelBear displays both the affable and the violent potentials of this aesthetic. Sianne Ngai makes the case for such “paradoxical doubleness” of cuteness in her study of Takashi Murakami’s art and Gertrude Stein’s poetry. Linguistically and artistically, Ngai argues, cute names a situation in which the act of minimization results in an uncanny reversal. The cute object could be just as easily deployed for aggressive means. The variety of animated poses that the TunnelBear assumes reflect such doubleness of cuteness. 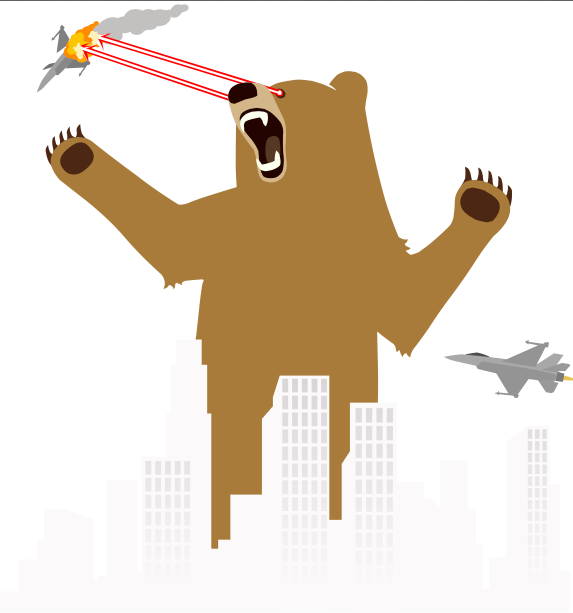 One moment the bear is gently shielding your face from recognition as you surf the web in a public place [Image 2]; the next it is shooting lasers from its eyes and pawing at fighter jets above a city skyline [Image 3]. TunnelBear’s distinction between affability and violence becomes a function of directionality: it is nice towards you, the user, yet not so nice to them. Them in this case are presented as advertisers and other commercial online trackers. Like most user-friendly VPNs, the service must be portrayed as affording a more amenable experience for the internet user while glossing over the myriad functions for which it could also be deployed. Like cuteness, the user-friendly VPN must remain innocuous despite always already holding the potential for its exact opposite. 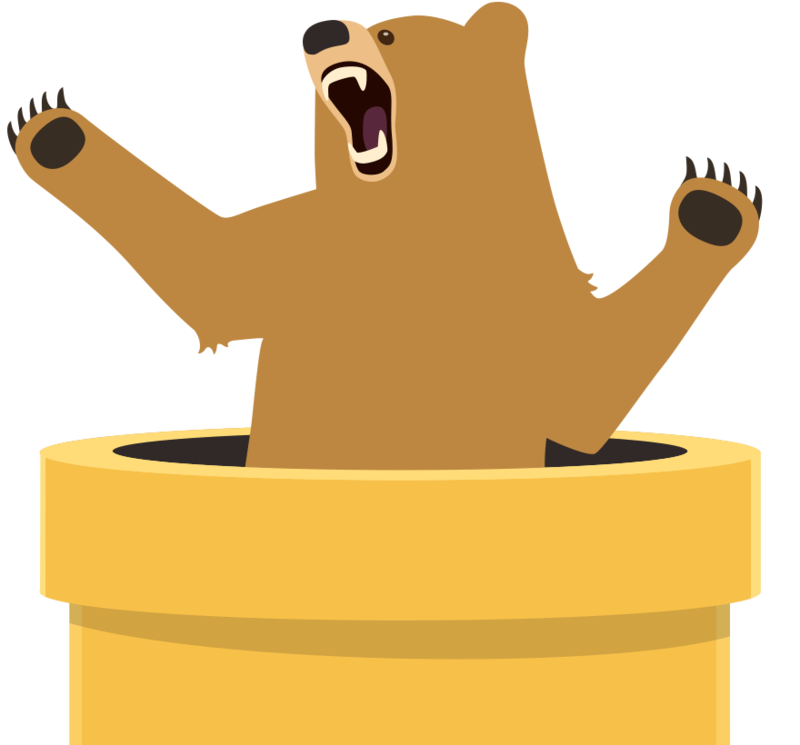 In contrast to other cute VPN avatars, TunnelBear must reinforce, in name and in image, the amalgam of infrastructure and mascot to counter the lack of commonsense association between both. The gopher from Mullvad, for instance, already implies the tunneling aspirations of its platform while the chameleon of SlickVPN offers camouflage as metaphor for its functions. (Admittedly, I remain bewildered by the purpose of the mascot from the Canada-based CactusVPN.) TunnelBear’s advertising features not only the bear but also the tunnel as the figure performing the functions offered by the service. The bear itself may throw (cute) hound dogs off the user’s trail [Image 4], but it relies on the yellow tunnel to get the user from one side of the globe to another [Image 5]. 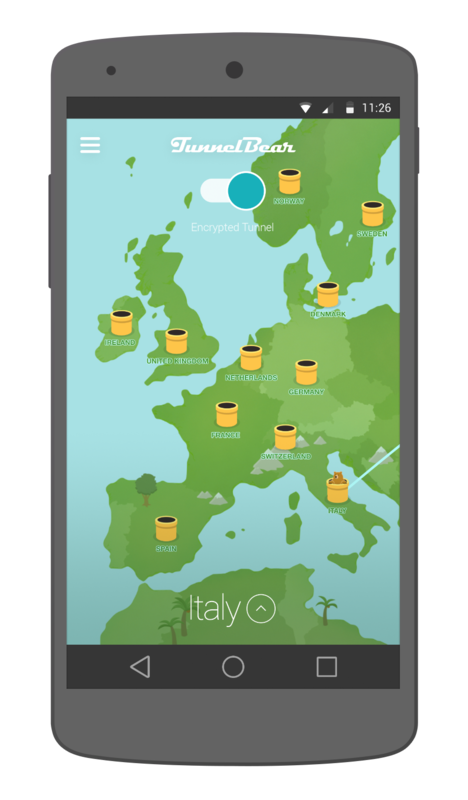 In its dual mascot, TunnelBear manages to cutify the infrastructure by association with its cute animal avatar. What is at stake when the tunnel is made cute? Elsewhere I have argued that tunneling media belie the differential access that structures the current composition of the internet. In facilitating temporary reorganizations of the internet’s technical affordances, tunneling media interfaces make salient the power geographies and chronographies shaping users’ experiences of online networks. As one such interface, the cute tunnel reaffirms Ngai’s argument that “cuteness names an aesthetic encounter with an exaggerated difference in power” — it is an aesthetic rendering of the unequal structuring of the internet and of a possible measure to undo such structures. The world is literally cut open in one of TunnelBear’s promotional images, its tunnels zigzagging across the center of the globe to create new avenues for travel and connectivity. “Experience an open and global internet,” the service promises, simultaneously reminding its users that the internet is neither open nor global most of the time. Indeed, although TunnelBear renders this process most explicit, the ideological implications of re-aestheticizing tunneling media is a feature of most user-friendly VPNs. For one, this process makes legible and accessible what was once a practice reserved for users with knowledge of coding. The metaphors of tunneling or camouflaging reduce yet illuminate the most basic functionalities of virtual private networks, masking a user’s IP address or encrypting data transfer in order to change the experiences available while using the internet. Aesthetic resignification thus glosses over technical sophistication. At the same time, and by virtue of its paradoxical doubleness, the cuteness of consumer-friendly VPNs fosters imaginaries about undoing the individual powerlessness inherent in digital networks under constant surveillance. 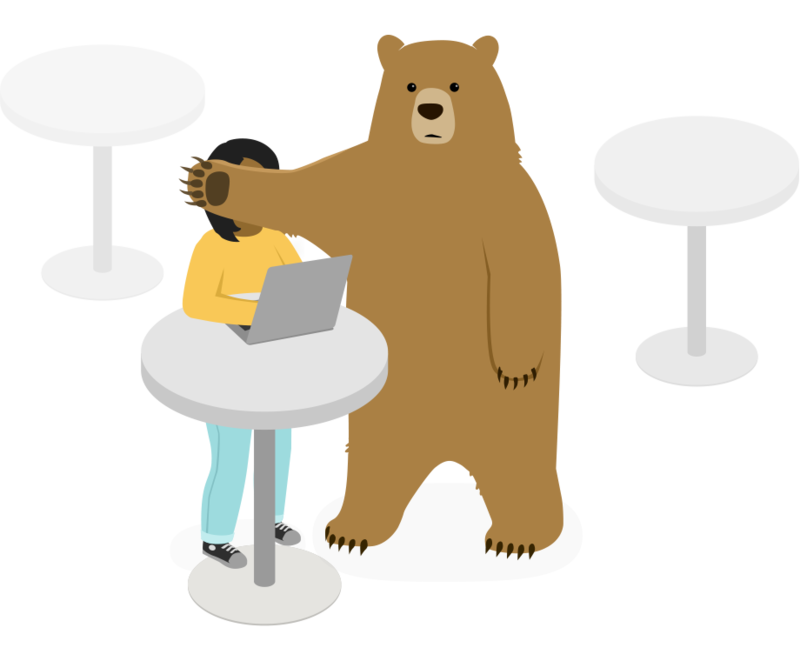 The cute mascot “abet[s] a fantasy of [its] capacity for retaliation,” empowering the user to stand up to the more powerful structures that condition the usability of the internet. Partly aspirational yet cautionary, the cuteness of tunneling media gestures at the current state of web 2.0, where affability alternatively masks, fosters, and undermines struggles over control. Its write to amazing experience and i appreciate this post. friend go there given link and ask the windows 10 related question and get all answer in without any requirement.